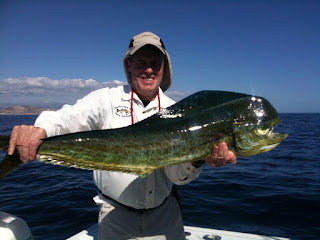 Doug Roche with a nice dorado on the fly, the fun continues. 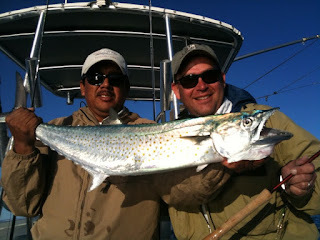 Sierra fishing was slow yesterday, but it's crazy good today. 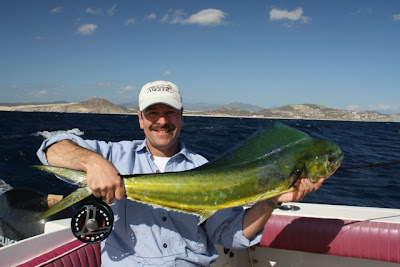 Doug Roche and a nice Dorado on the fly. 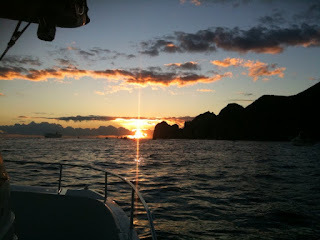 Live from Cabo San Lucas! 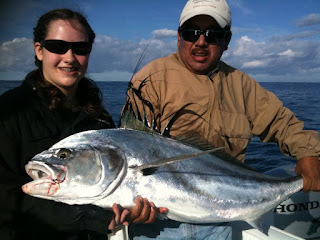 For all you snowbirds, check out 14 yr. old Allison with her 50 lb. 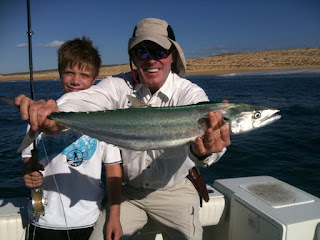 My good friend Doug Roche and his 12year old son Dougie went out fishing with me today. 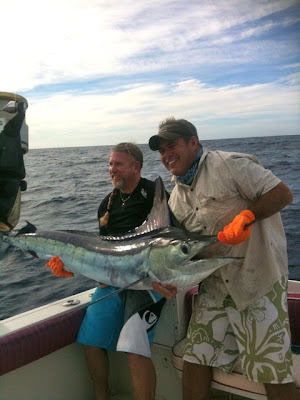 The marlin fishing was slow, but Dougie caught this nice Striped marlin on a spinning rod. 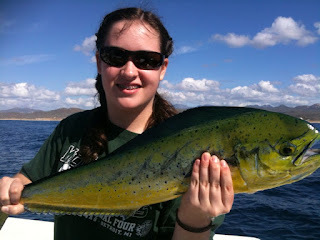 The fish was released unharmed. 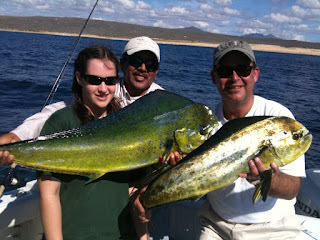 On my other boats, guests caught dorado, snappers, roosterfish and sierra mackerel. Capt. Ladd Stevens wrote this email to me. Wanted to send you a quick email to say thank you, thank you, thank you, thank you! 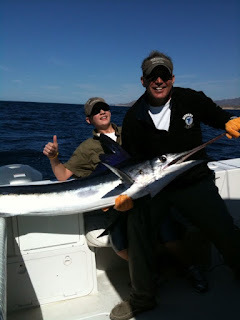 Baja Anglers, Capt.Alex and Luis made our trip! Your staff, equipment, and facility were awesome! 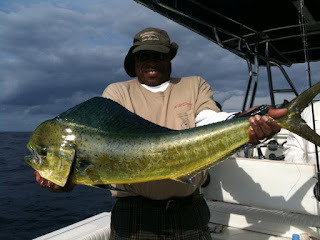 I have included some pictures for your fishing report and I have updated my report on my website! Thanks Again! We just came across a floating log. 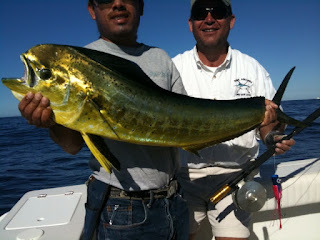 I didnt write any fishing reports for November, so I will add some fun photos. 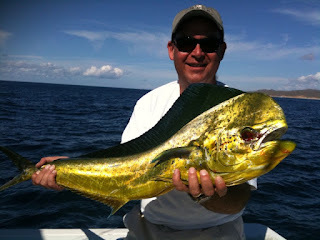 Peter Bowers with a fun dorado he got on the fly. 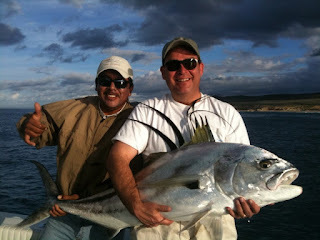 Peter is a great friend and owner of Patient Angler fly shop in Bend Oregon. 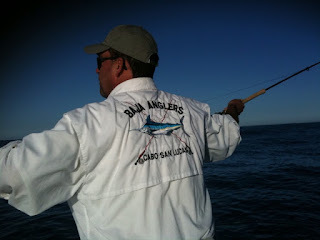 He is considered by many (including me)to be THE guru for steelhead on the fly! 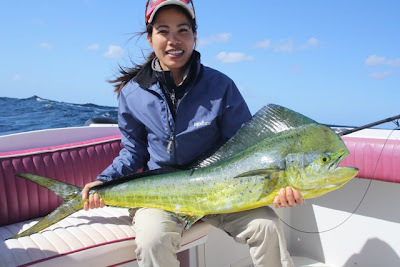 Here is Thu (Peters girlfriend) with a nice dorado she go on the fly. Way to go girl! 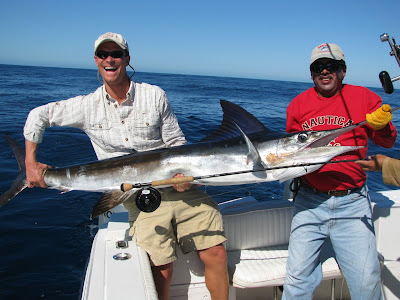 The marlin fishing is still very good.. 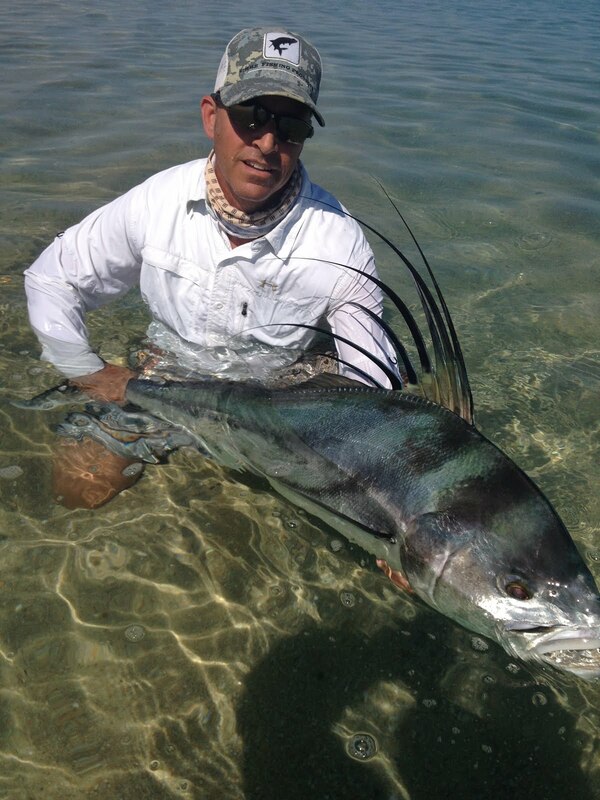 Here is my mate Randall Bryant with a nice 130# striped marlin on the fly. 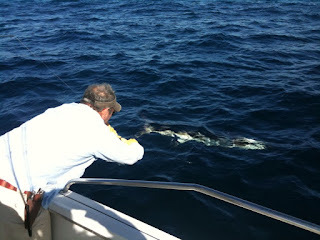 On his last day, we broke off one striped marlin and another bill tapped his fly. 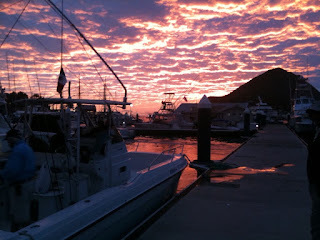 We had 4 or 5 marlin teased up, but couldn't get the teasers away from the fish. Once we did, the fish would lose interest in the fly.